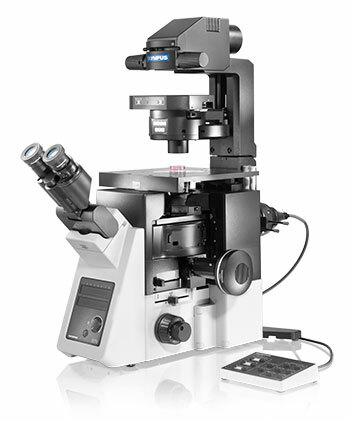 The IX73 inverted microscope system sets new standards in advanced live cell imaging with its stable compact frame. It provides outstanding optical performance and maximum flexibility. Manual encoded or semi-motorised options enable configurations with a variety of component combinations. It is available as a one-deck system with ergonomic low stage height or as a two-deck system with additional expansion capabilities. Both provide the ability to perform a multitude of imaging techniques, ranging from long term time-lapse imaging and other more cutting edge techniques to routine testing and documentation.